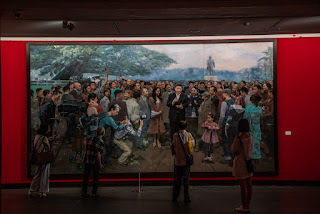 Cycling Peace: In a painting touring museums across China, President Xi Jinping is front and center while a statue of Deng Xiaoping is a distant image. 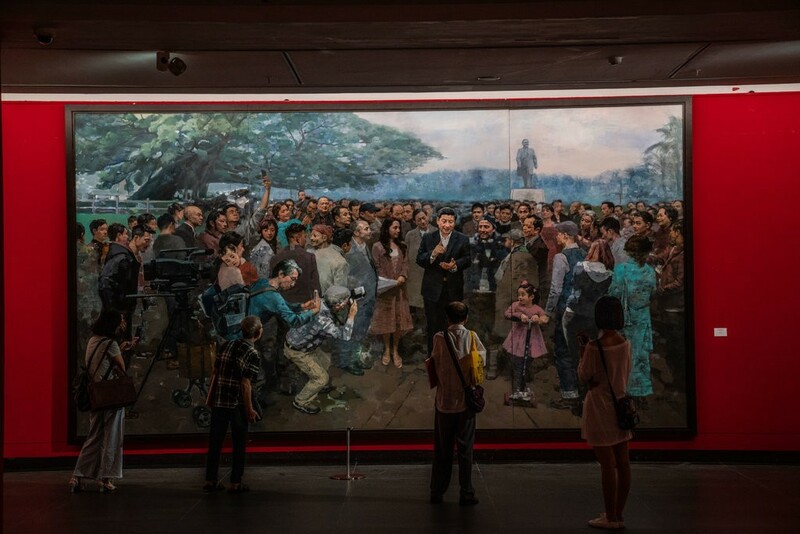 In a painting touring museums across China, President Xi Jinping is front and center while a statue of Deng Xiaoping is a distant image. Deng Xiaopeng being usurped by Xi.